HUGE improvements, more valuable hits and a design make-over give 2017-18 Absolute Memorabilia ($119.95) the Sports Cards Plus award for "Most Improved Basketball Product of 2017." 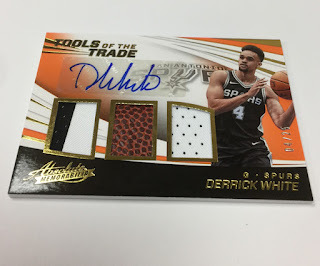 2017-18 Absolute Basketball delivers TWO Autographs instead of previous year's one auto. Included this year are ON-CARD Hand Signed Autograph Cards. New to 2017-18 Absolute Basketball is TWO Hard-Cased Uncirculated Base Cards (one RC and one Veteran) giving real value to its base cards. While each encased Uncirculated Base Card is not serial numbered, there is a parallel version numbered to just 7 adding to the chase. 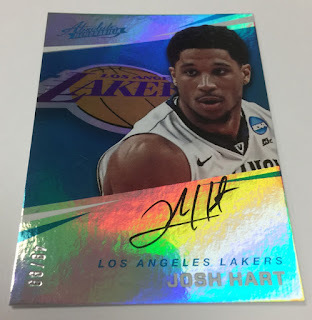 And, back are the ever-popular one per 10-box case ABSOLUTE GLASS CARDS. Click HERE to see the eBay prices for the Uncirculated Base Cards. Everyone knows at Sports Cards Plus, a.k.a. 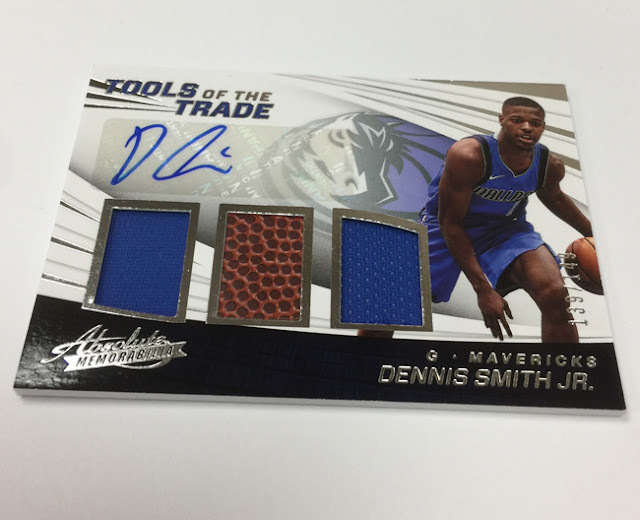 The Super Hit Factory you pick your box from The BEST CASES in The Hobby at The LOWEST Price in The Galaxy. And at Sports Cards Plus, YOU ALWAYS GET MORE. First one to pull a Maroon #d/7 Base Rookie Card in our store WINS $100.00 at Sports Cards Plus.